Rental Boat Guadeloupe, Martinique, or Grenadines. The Caribbean is one of the most beautiful regions of the globe. One discovers a fauna and a flora very rich in color. Rent a boat in the Caribbean and sail in a jade water, let yourself be rocked by the wind, spend the night in a creek and let you wake up in the morning by singing birds. One could define the Caribbean in a few words: beauty, wonder and multiple surprises for your eyes. 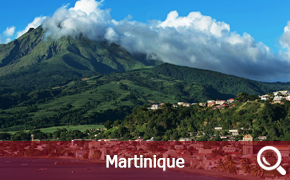 Martinique and Guadeloupe are both French local authorities. 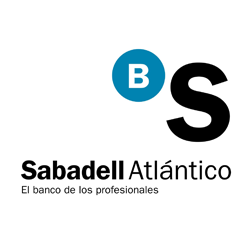 Since their discovery in the XIV centuries, the Antilles have not ceased to attract the navigators of the whole world. They were above all a source of rivalry between the European powers. Today the French West Indies receive boaters from all walks of life who come to cabot on the peaceful waters of Martinique or Guadeloupe. These islands abound with protected bays and coves aspire to tranquility, ideal for resting and forgetting everyday stress. The place is perfect for relaxing and relaxing in the sun. The tropical climate in the West Indies makes life very pleasant. The archipelago of the Antilles unfolds in arch over 4700 km long, from the western tip of Cuba to the small Dutch island of Aruba, off Venezuela. The Lesser Antilles constitute the eastern part of the arc and stretch over nearly 1000 km of the Virgin Islands in Granada. In the middle of this arch, is Martinique, surrounded to the north by Dominica and to the south by Saint Lucia. The Caribbean is a group of islands located in the Caribbean Sea bordered on the South by South America, South-West by Central America and North-West by the United States. Navigation is generally easy and ideal for unmanned rental. Winds are predictable and an average of 15 to 20 knots throughout the year. The average temperature is 26 ° C, usually tempered by refreshing trade winds. Although the weather is fine from October onwards, the driest season is usually from December to April. A perfect itinerary for 7 to 10 days would be to add one or two additional stops to Dominica. The Leeward Islands, from Guadeloupe to St Martin via Antigua, Barbuda, Saba, St Kitts & Nevis, St Barth and Anguilla are also strongly advised. 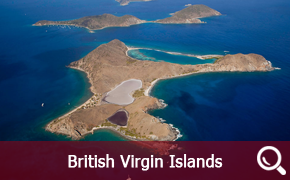 The British Virgin Islands with Tortola, Virgin Gorda, Jost Van Dyke, Anegada. 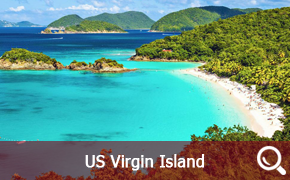 And the US Virgin Islands with Saint Thomas, Saint John, Sainte Croix can be an itinerary for your cruise .. In the Caribbean Sea we must not forget Cuba, Belize, Colombia, Mexico, Panama, or Venezuela (see Central America). Clic on the area of your choice below in order to get more informations on your future cruise in Caribbean ! 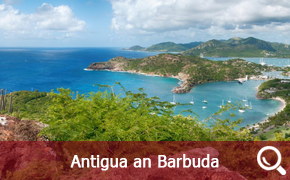 The territory of Antigua and Barbuda consists of 3 islands: The main island Antigua, in the south west Redonda an uninhabited island and north the island of Barbuda located in the north with only 1100 inhabitants. There are over 365 beaches on the island of Antigua the steep east coast of coves and small sandy beaches. With your sailing yacht charter in Antigua you will spend your cruise in complete tranquility while avoiding the hustle and bustle of Guadeloupe or Martinique. 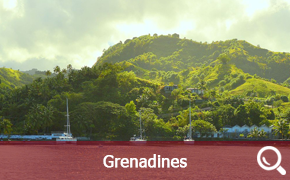 The island of Granada is nicknamed "the spice island", this country was the 2nd producer of nutmeg until 2004. Imagine the sensation of the pleasant smell of spices brought up to your nose by the trade winds. A sailing yacht charter in Granada will make an excellent start for a cruise in the grenadines. This charming little Caribbean island is located halfway between Martinique and Saint-Vincent. All along the coast Sainte Lucienne shelters many protected coves and anchorages. The nightlife is rather animated, many shows and concerts are organized each month, the creole rhythms is something you have to heard. You will not regret your sailing boat rental in Saint Lucia, this one will leave you unforgettable memories and an incredible number of clichés to be seen among friends. 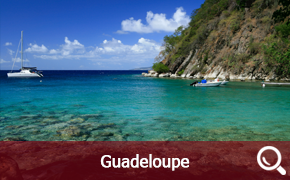 The archipelago of Guadeloupe offers varied and contrasted kinds of landscapes. From volcanic mountains of the basse-terre Island to the arid and flat land of the grande-terre island. The two islands are separated by a narrow sea channel called “salt river”. 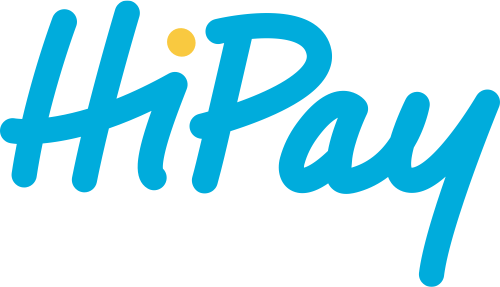 Our base of boat rental is located just in the middle of the island of Point à Pitre. The island particularity is that it looks like a butterfly seen from above. The Virgin Islands of the United States are located in the southwest of the British virgins. The archipelago has 3 main islands (Saint-Jean, Sainte-Croix and Saint-Thomas) and a number of islets. A simple mask and snorkel will give you a panoramic view of the beauty of the submarine ends, wrecks, where the fish have found refuge. Tortola is a peaceful island in the British Virgin Islands, bathed throughout the year in turquoise water warmed by an average annual temperature of 27 ° C. This paradise on earth is waiting for you! What are you expecting to rent in one of our yacht charter boats in Tortola? Called Madinia in créole, which means the island of flowers, is an island of 1200km2 covered by mountains, forest and legendary beaches and creeks. The highest peak is the volcano called “la montagne Pelée”. 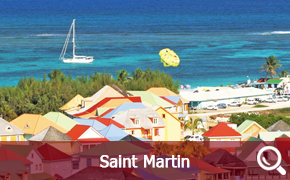 Martinique is a base of departure in great demand thanks to its strategic localisation, right in the middle of the Antilles. From there it is easy to flow up to Dominique Island or down to Ste Lucie Island. 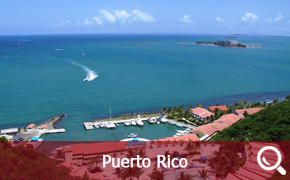 Puerto Rico is part of the Greater Antilles, several small islands, like Culebra, Vieques and Mona are to be discovered. On land, you will find several luxury shops and casinos. 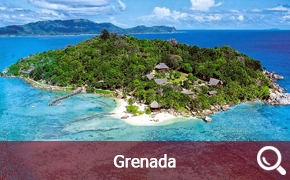 Enjoy the many beaches of the Caribbean Sea and moorings around this small archipelago of tropical islands with lush vegetation. 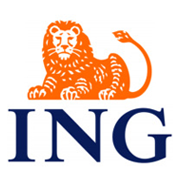 Split into two parts: one is French and the other one is Dutch, in St Martin, we propose a good base for our boat rental. With a catamaran, there are many creeks and hidden beaches you will be able to reach.